A mix of clouds and sun early, then becoming cloudy later in the day. High 78F. Winds S at 10 to 20 mph..
Variably cloudy with scattered thunderstorms. Low 57F. Winds SSE at 10 to 15 mph. Chance of rain 60%. At 4:59 p.m. on December 21, Karina Penaflor, 21, of Schleswig, was arrested on a warrant for contempt of court. At 8:03 p.m. on December 21, a warrant out of Crawford County was served on Nathan Landrum for driving while license suspended. Bond was set at $300. At 11:49 p.m. on December 23, a white Chevrolet 1500 pickup was stopped for no plates and Shawn Freeman was cited for driving under suspension and issued a .02 violation. At 3:57 a.m. on December 23, Jose Roberto Rodriguez Nieto, 29, of Denison, was arrested for domestic abuse. At 8:35 a.m. on December 23, John Lual, 41, of Sergeant Bluff was arrested and charged with operating while intoxicated, 1st offense. At 5:53 p.m. on December 24, Josh Rosburg was arrested on a Monona County warrant. At 8:07 p.m. on December 26, Abel Fonseca was arrested for OWI, 2nd offense, and driving under suspension. At 12:41 a.m. on December 27, Paul Manyang Ter, 37, of Denison was arrested for public intoxication, 2nd offense. At 12:06 a.m. on December 16, Atem Duot, 18, of Denison walked inside the Casey’s General Store located at 1608 4th Avenue South in Denison and stole $159.90 worth of Juul Crème Brulee pods. At 4:12 p.m. on December 17, an automobile accident with no injuries was reported at Greater Iowa Credit Union located at 230 North 7th Street in Denison. The surveillance camera at Greater Iowa Credit Union recorded the accident on video showing Brando Emerson Fernandez Villa Franco, 22, of Kiron, driver of a gray 2013 Ford Fusion, coming to a stop and leaving the bank parking lot. Edgar Alcides Gonzalez, 17, of Denison, driver of a red 2010 Chevrolet Aveo, continued to enter the parking lot and hit the right side of Brando’s car. Gonzalez was cited for driving without a valid driver’s license. There was $2,000 damage to each vehicle. At 4 p.m. on December 21, an automobile accident was reported at Smithfield parking lot in Denison. Manyuat Malok, 48, driver of a tan 2005 Toyota Camry, stated he arrived at work at approximately 5 a.m., returned to his vehicle around 4 p.m. and noticed his vehicle had been struck by another vehicle. When asked if he knew who parked beside him, he said he didn’t know. Malok’s vehicle sustained $3,000 in damage. At 5:40 p.m. on December 21, an automobile accident was reported on Avenue C in Denison. Ivan Medina Lopez, 22, of Denison, driver of a black 2009 Dodge Journey, stated that he was following too close to the vehicle in front of him, was looking down and by the time he looked up, it was too late for him to slow down. His vehicle hit the rear end of a white 2012 Nissan, driven by Jacob Ryan Segebart, 33, of Denison. Segebart stated he had slowed down because he saw the Denison Police Department’s emergency lights up the hill. Lopez’s vehicle was towed. It received $1,600 damage. Segebart’s vehicle received $360 damage. At 4:17 a.m. on December 22, Michael Erpelding, of Algona, hit a horse at U Avenue near 220th Street in Dow City. Erpelding was not able to stay at the scene and was not sure if the horse died or was still on the road. At 9:52 a.m. on December 24, Coletta Weeda was traveling east on F Avenue when she lost control of her vehicle. It went into the south ditch and landed on its side. Weeda was transported privately to Crawford County Memorial Hospital in Denison for treatment. At 8:55 p.m. on December 24, Hailee Joann Dobernecker, 19, of Charter Oak, driver of a white 2006 Chrysler Pacifica SUV, was traveling north on Kenwood Road. Dobernecker stated that her tire got into a rut on the shoulder; her steering wheel locked up and she was not able to steer out of it. Her vehicle missed striking a bridge, went straight off the road into the ditch and came to rest on its side. Dobernecker’s mother came and transported Hailee and two males to Crawford County Memorial Hospital in Denison for evaluation. There was an estimated $5,000 worth of damage to the SUV. 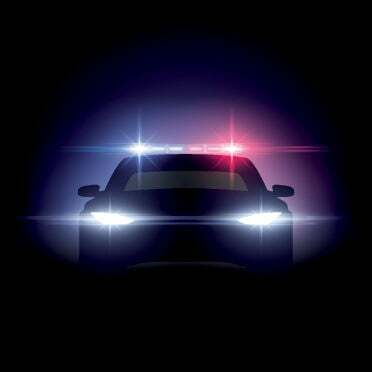 At 6:35 p.m. on December 26, there was a report of a vehicle in the ditch at 59 North Orange Street in Kiron. A female was stuck under the vehicle and was helped into her house. She advised she was OK.
At 1:19 a.m. on December 26, Dustin Hall, 19, hit a deer and his vehicle sustained minor damage.